Created to deliver style-locking heat that is calibrated to maintain healthy hair's natural integrity. 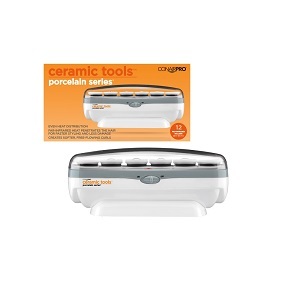 Superior quality Porcelain Ceramic ensures even, consistent heat to eliminate hot spots. Far-infrared technology penetrates deep within the hair strand for ultimate styling from the inside out.